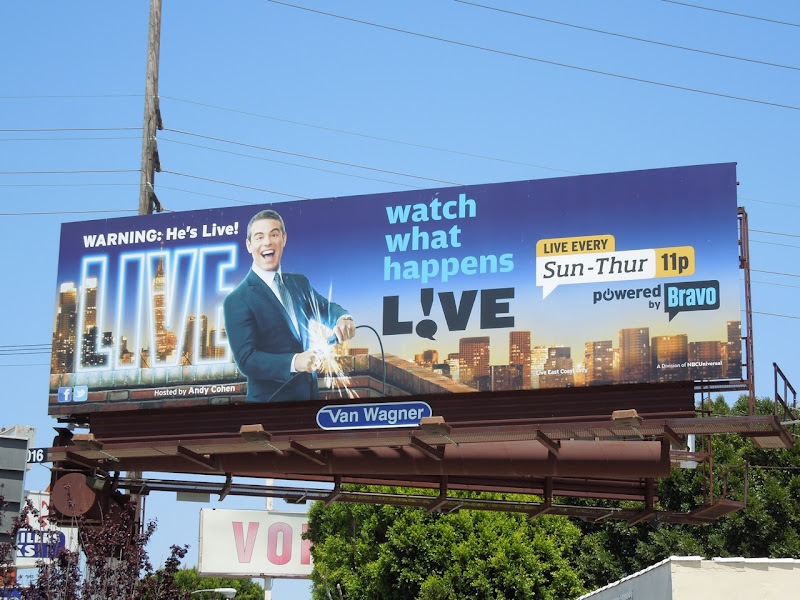 Daily Billboard always thought that Andy Cohen was a bright spark, but this billboard for his nightly live talk show proves it. Not only is he the executive Vice President of Development and Talent at Bravo, but he's also the first openly gay host of an American late-night talk show (and quite attractive, to boot). This cool creative for his show was snapped along Santa Monica Boulevard in West L.A. on May 27, 2012. 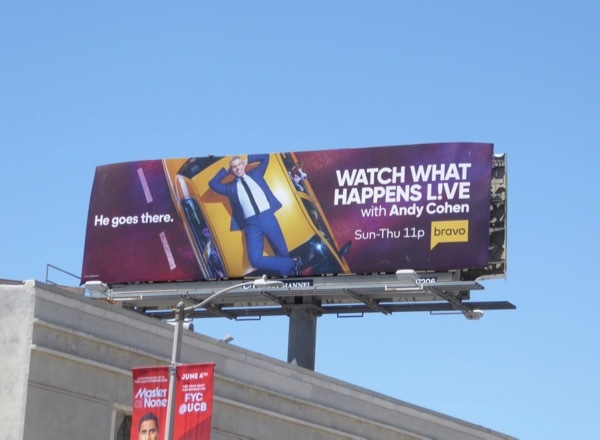 If you're a fan of Andy Cohen, you can also check him out having fun as part of last year's L.A. Pride Parade. 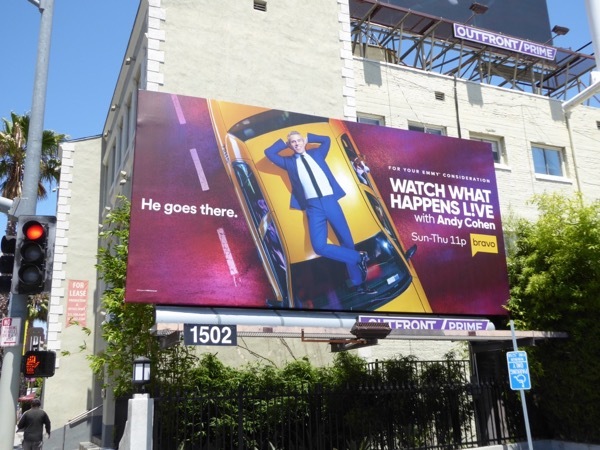 UPDATED: Here's also a billboard for the Bravo talk show snapped along West Hollywood's Sunset Strip on June 12, 2017. 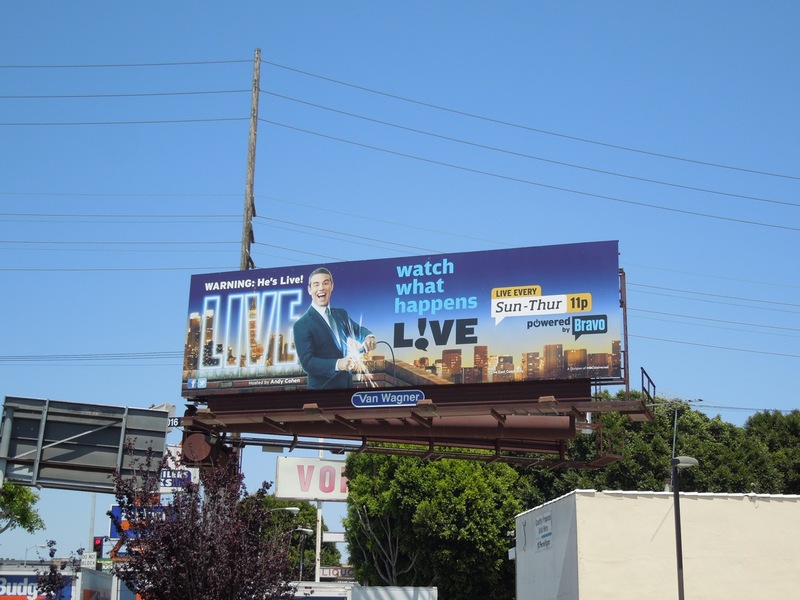 And here's a larger landscape billboard version spotted above La Brea Avenue on June 27, 2017.